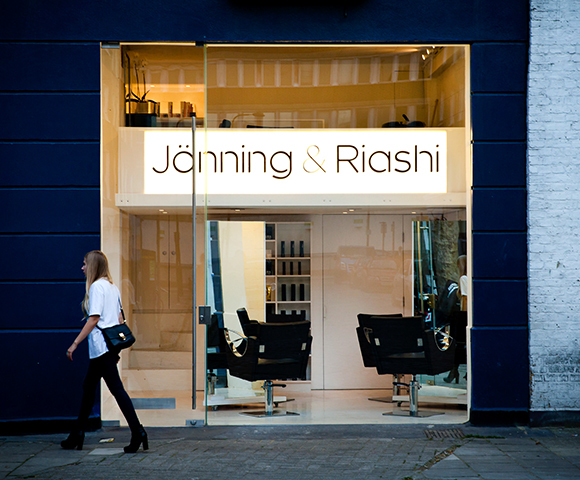 Jonning and Riashi is a small, boutique hair salon that’s recently popped up in the heart of London’s Fitzrovia district. Run by Steven Riashi and Nadia Jonning, the salon is based in what used to be a motorbike garage, just around the corner from Goodge Street. thanks to their unique approach to flexible opening hours. Rather than working to a set schedule, they work around their clients – so if you need a late evening appointment, or an early start, they’ll try to accommodate you any day of the week, rather than just having set late/early days. Please excuse the dodgy iPhone photo, but I wanted to show the final hair before the wind got at it outside! Comfortably settled in my chair, Steven chatted to me about my hair (I did get a small amount of scolding for letting my boyfriend be my fringe trimmer for the past 4 months) – I only needed a bit of a trim up, but was keen to add a slightly richer tone to the colour, so we agreed on a semi-permanent copper-gold shade, to enhance the red in my natural colour a little. I have to be honest, I’m usually not one for talking much while in the hairdresser’s chair, but Steven is hilarious and it was impossible not to sit there giggling away and chatting for the entire two hours I was in there. I think the only time we were both quiet was when my colour was being washed off and I was given the most amazing head massage which almost ended in me falling asleep in the chair. Full marks on that score. As well as being a comedy genius, Steven is a bit of a hair whizz (as is Nadia) and has worked internationally for people such as Vivienne Westwood, as well as a whole host of other fashion designers. While the quality of the stylists might be extremely high, they’ve still managed to achieve a really relaxed, informal feel to the salon, and you won’t find interns or receptionists greeting you as you enter, just Nadia and Steven, which makes a really lovely change. Prices for a cut and finish start at £60, so are pretty standard for central London prices, and I honestly can’t recommend them highly enough. 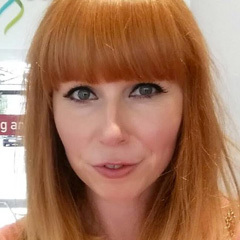 I was kindly provided my appointment free of charge, however when it comes to my hair I’m a fussy b**ch, and will quite happily pay for many a return visit. Get yourself down to Goodge Place pronto (Their website is coming soon, but in the meantime you can book your appointment on 0207 637 9509). I need to get a salon review on the cards, my hair is in dire need of a trim! Wow your hair looks absolutely stunning! 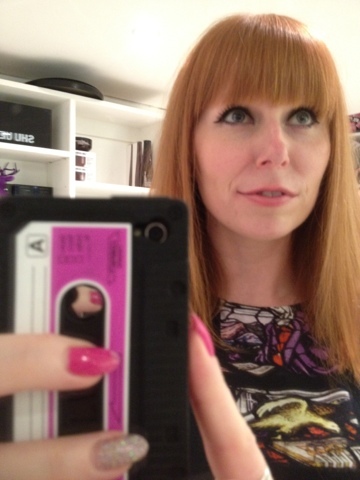 Love your fringe and hair colour combo. Your hair looks amazing. Thanks for sharing this blog.I like this blog very much. really such an nice and decent information shared here with awesome staff. More info please visit :-Salon in Jamaica estates ny.